Nothing beats a pamper session, particularly when it's chilly outside. For some reason, the colder it gets, the more I want to pop on the cosiest dressing gown and slather a face mask all over my skin. I've become a little obsessed with pampering myself in the evening (face masks have become a weekly ritual) so today I wanted to talk you through some of my top Autumn and Winter pamper products. These products will leave you feeling hydrated, glowing and feeling super soft this Autumn. Let's talk about the best pampering products this Autumn! Neom Wild Mint and Mandarin Body Scrub - First things first, exfoliate. I tend to exfoliate more in Summer as I get my legs out, but actually, it's Winter when my legs get super dry which is why I'm making a conscious effort to exfoliate them more. You really can't get better than Neom's body scrubs, not only is the packaging super luxurious (like everything Neom do), but the product is beautiful too. The wild mint makes this really refreshing, I feel so cleansed and fresh after using it. 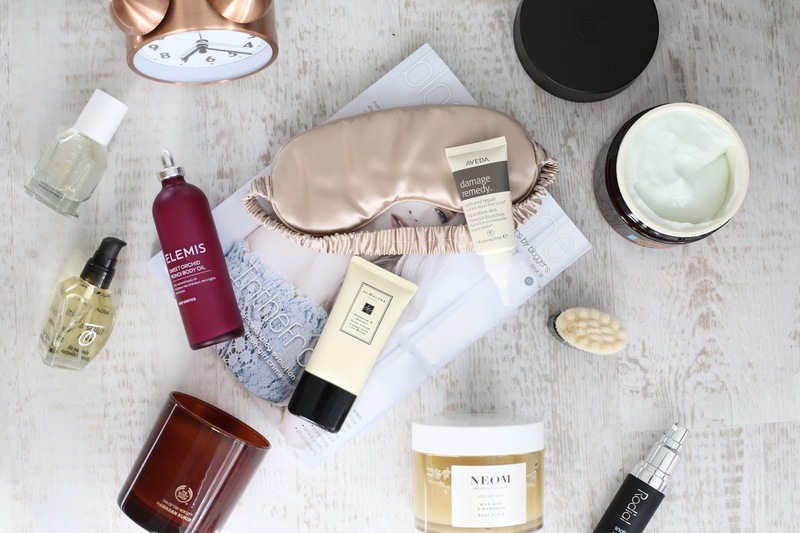 Neom are one of the best aromatherapy brands so it really does feel like you're having a spa treatment at home. Their body scrub is formulated with 97% natural ingredients too which makes me fall even more in love with the brand. Online here and here. Rodial Snake Eye Cream - When I've done my cleansing routine, it's time to fix those under-eyes. I'm all about trying new under-eye products as I really do struggle with puffy, tired under-eyes with lines (I always feel self conscious about how bad the lines are under my eyes) because I suffer from such a lack of sleep (that freelance workaholic life, make sure you read my blog post about what full bloggers do) to see why I always have puffy eyes haha. I don't mind paying good money for under-eye creams because they're targeted and I really need something that's going to work. I adore Clinique's Pep-Start eye cream but now I've run out, I'm onto Rodial. Rodial is one of those brands I completely trust, their products are always amazingly well-made with the best ingredients. Their new Snake Eye Cream aims to tighten and firm the appearance of lines around the eyes, it includes Syn-Akr which is meant to 'freeze' the muscle contractions to erase the lines, it also helps to drain away toxins and water retention to wake the eyes out. Of course there's vitamin C in there too to get rid of those dark circles. So far, so good. I'll keep you updated with this one but as the nights get darker, I seem to get more tired so I definitely need a good eye cream like this one! Online here and here. Aveda Tulasara Radiant Oil - When I'm not face-masking (L'oreal Clay Masks are my current favourite face masks of choice) then you'll find me using an oil. Usually, I'm all about Kiehl's and stick to their oils daytime and nighttime but, it is nice to mix things up once in a while. I've been mixing things up and trialling Aveda's Tulasara Radiant Oil when I'm really in need of a boost to awaken my skin. It's a 100% naturally derived oil from 6 different plant oils which is designed to be massaged into the skin after dry buffing. It's a really great way to treat yourself to a quick 5 minute at home facial but actually, I'd happily use it all over my body. I've loved Aveda for a long time and their new launches just keep getting better and better. Online here. Jo Malone Geranium & Walnut Hand Cream - I'm not really a hand cream kinda girl but in Winter, my hands so get exceptionally dry. Of course, Jo Malone always comes to the rescue. If you read my the best Jo Malone beauty products post you'll know that I adore Jo Malone. This hand cream is perfect for Winter, it absorbs easily, smells amazing and doesn't leave me with clammy hands. Online here. Aveda Damage Remedy Split End Repair - As you guys know, looking after my hair is my favourite thing. 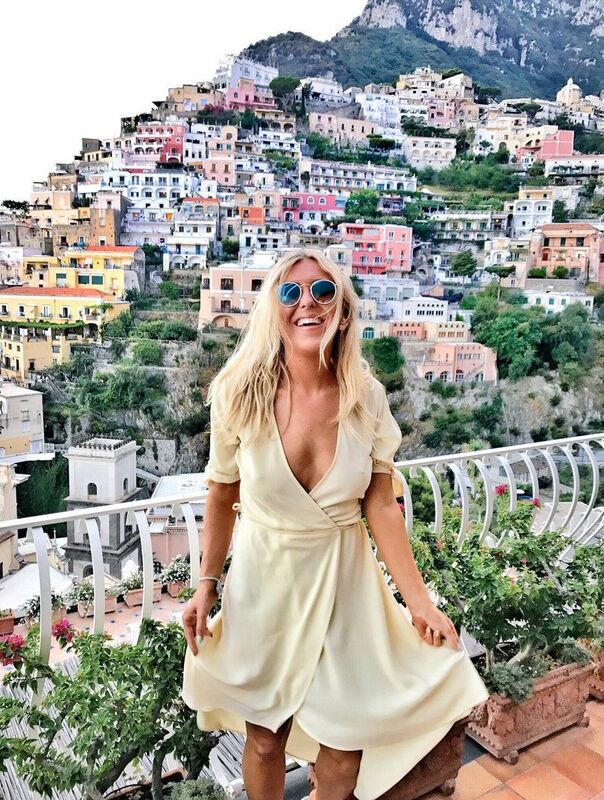 If you read my recent blog post about how to find the best hairdresser you'll know that I'm massively into finding the best products for strong, long hair. Aveda's new Damage Remedy Split End Repair is a brilliant pamper product for just that. This product has nangai oil within it, which helps attract separated ends back together and helps prevent them from splitting. Online here. The Body Shop Atlantic Seaweed Cream - The Body Shop are back and they're back better than ever. I have loved them for as long as I can remember, they've always been a holy-grail brand for me, but their new products have made my love for them reignite. Their Atlantic Seaweed Cream is perfect for dry skin, full of amazing minerals, it softens the skin so much that you still feel super soft even when you wake up. Putting this on after showering is a genuine pleasure. Online here. The Body Shop Hawaiian Kukui Candle - Another dreamy product from The Body shop, their Hawaiian Kukui candle. I've honestly never come across such a beautiful smelling product. This takes me back to the beaches of Sri Lanka and makes me wish I was surfing. I'm incredibly impressed with The Body Shop's new candle range, I feel like it was a long time coming. As someone who's obsessed with well-being and pampering, these make me feel cosy and relaxed. Online here. Elemis Sweet Orchid Monoi Body Oil - Who doesn't love a multitasker? this hair, nail and body oil is another epic product for dry Winter skin. Elemis can do no wrong, their products always smell amazing and make my feel amazing too. Not only is the packaging beautiful but this leaves you super smooth, soft and radiant too. It absorbs almost instantly and is amazing for super dry skin. I'm such a sucker for a multi-tasking product. Bravo Elemis! Online here. Roger And Galet Aura Mirabilis Double Extract Oil - Roger and Galet's new range is simply beautiful, it looks amazing in my bathroom too. This is the most concentrated oil in their range, it is a unique biphasic solution of water and essences and concentrates to the power of 18 distilled and officinal plants. In normal words, it basically helps to soothe and penetrate through the skin. It's perfect for dry, lack-lustre Autumn skin in need of some TLC. Online here. 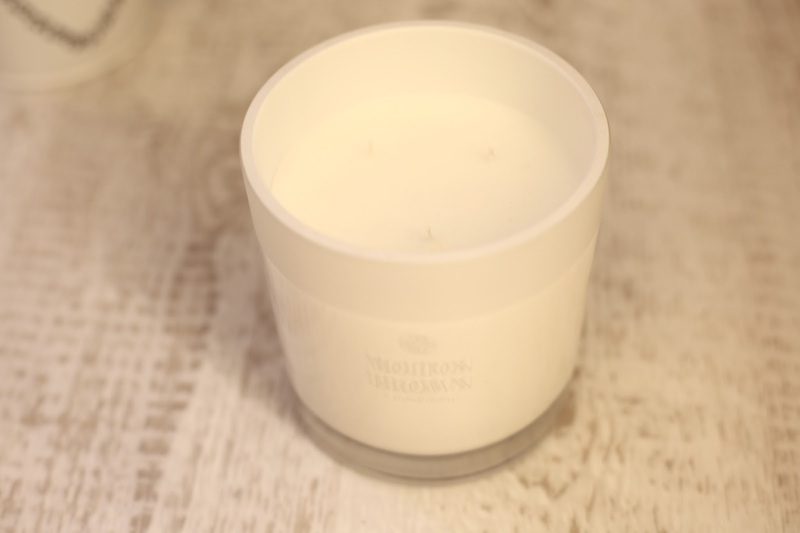 Molton Brown Sandalwood Candle - This is a bold statement from a candle lover but I think Molton Brown's Sandalwood candle may be one of the best I have ever smelt. This is the most stunning candle and it's absolutely perfect for Autumn. Even alone, it makes my bathroom smell in credible. My dream is a room full of Molton Brown Sandalwood. It's seriously dreamy, you need to go pick it up and smell it. Here's to cosy Autumn nights in. PS. The photo does this gorgeous product no justice. It's incredible. Online here. 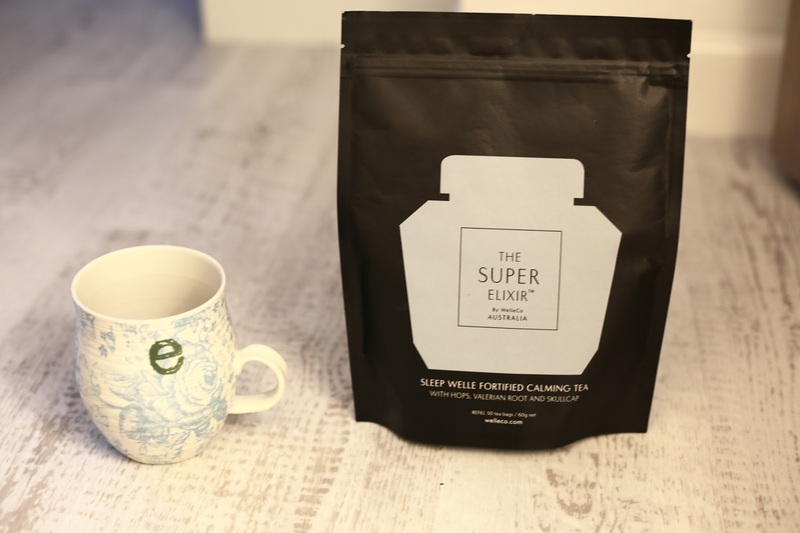 Welleco Fortified Calming Tea - Last but certainly not least, when you're ready to go to sleep, don't forget to have a cup of the Sleep Welle tea. I have mine in my gorgeous cup from Anthropologie (a present to me when the new Leeds Anthropologie store opened, it's absolutely gorgeous). This tea is a blend of herbs to help you relax, it is also meant to help ease stress and anxiety. I'm obsessed with Welleco's range of proteins so I was pretty excited to try this new one in the run up to Winter. *Sorry about the lighting on my final two photos, I broke off half way through shooting and the light completely went! Winter problems! How do you feel about Autumn pampering? Do you like the look of any of these products?